A public statement of former Punjab Chief Minister Shehbaz Sharif has stirred a lot of controversy recently. He was visiting Karachi as a part of his electoral campaign for elections 2018. In a public statement while trying to present his development program for the city of Karachi, he got carried away by either an urge to assure his efficiency or trying to be funny and referred to Karachities as ‘Paan-chewing (betel leaves chewing) people of ‘Karanchi’. The statement has been interpreted as racist and derogatory by many circles and a poor choice of words by almost everyone. There have been a lot of discussions on the political repercussions of this reference. There is a social and cultural aspect of this controversy. I could relate to it on a personal level. My late mother was a Kashmiri by race (if we have to be race specific), was born in Simla and migrated as a child to Sialkot region of Pakistani Punjab in 1947. She spent her life in different cities of Pakistan including Dacca and Karachi where her brothers and brothers in law were posted. After marriage she settled in Lahore. 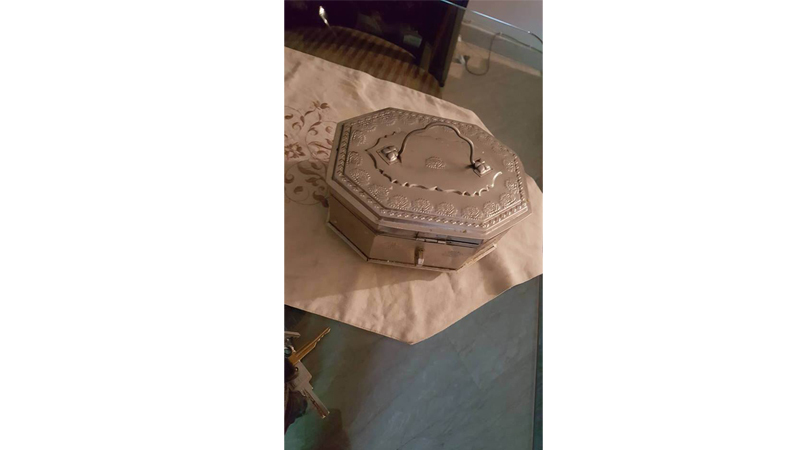 She wasn’t an Urdu speaking by birth but still maintained a paan dan (a special box with compartments for keeping paan leaves and accessories). This was a Muradabadi make and she was very particular about its maintenance and polishing. She would buy paan leaves, choona (lime powder), katha (catechu), chalia (betalnut) from shops in Mozang or Gulberg. Sometimes she would visit Paan Galinear Anarkali Bazar and buy some accessories like paan masala or betel leaves mostly imported from India. This Paan Gali is a popular shopping area in Lahore known for paan and all its accessories. Interestingly it is quite near to the area where Mr Shehbaz Sharif spent his childhood and youth. He definitely is aware of this market and popularity of paan in Lahore. My mother used a silver ‘sarotha’, a small gadget to crush chalia for paan. Somehow I wasn’t very fond of these paans and would only be interested in getting some sweet saunf (fennel seeds) from the paan dan. I liked sweet paans and we, a group of college friends, would often visit Liberty Market to enjoy paans. These were good old days when petrol was cheap and security situation was satisfactory, we could afford our paan trips quite frequently. Ami used to narrate, based on her interactions with Urdu speaking friends and family members, that in UP a girl was assessed for her sophistication (saleeka) by the way she prepared and served a ‘gilory’ of paan. Ladies could manage some of the home remedies and medications from their paan dan as choona has many calcium nutrients and katha is good for curing mouth ulcers etc. They used it for keeping some money at hand also. Wife’s pocket money was referred to as ‘paan dan ka kharcha’ (expenditure for paan dan). Ladies would take their paan daan wherever they went like a handbag. At home, it was an ever-available source of entertaining guests. Serious family matters were discussed during a paan session and a wife could convince her husband regarding some domestic issue over a gilory (truly amazing effect of paan). A woman’s mood could be judged by the way she opened or shut down her paan dan, it was thus a gesture to vent out the anger and show your disapproval in a subtle and civilised manner. A discontinuation of negotiation or a relationship was idiomatically referred to as ‘paan dan utha laina’. There was a tradition of not returning a food dish empty to a neighbour, friend or family member’s place. If nothing else was available, paan leaves were placed in the dish which symbolised a prayer by the sender that the receiver’s home and life may stay evergreen like paan leaves. My mother thus left me with a legacy of perceiving paan as a symbol of culture. I serve paans after dinners which I purchase from a famous paan shop in Lahore as I haven’t been ‘saleeqamand’ enough to maintain a paan dan myself. On dholkis, mehndis, weddings, fairs, galas in Lahore, a paan stall is a must. Lahoris are no less paan lovers than any other city’s residents though generally paan dan is not maintained as a household item in Punjabi families. Ms Benazir Bhutto on a visit to Lahore as Prime Minister had visited a famous paan shop and media had highlighted her candid fondness for paans. I recently got to know from a few Pakhtun friends that they also serve paans at their wedding ceremonies. Paan eating is a popular practice across Pakistan and not confined to Karachi only though it is most prevalent there. The way many cultural norms and cuisine traditions have been affected by changing times, a negative impact on paan eating culture has been of chemicals added to paan accessories which are hazardous for health. Littering on public places has also been associated with paan eating but that depends on the economic, academic and social background of a paan eater. Associating paan eating with a specific ethnic community and ridiculing it just doesn’t make sense. The responses to Shehbaz Sharif’s statement have been equally below the belt and disintegrating. Such a mistake can be made by the ones who do not understand paan in its true essence and class. They perceive it as a mere ‘food item’. 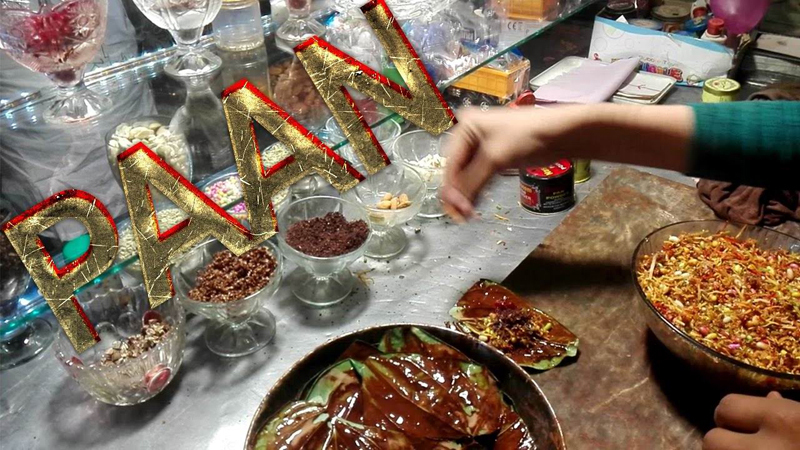 Paan is a culture – a culture representing feminine delicacy, a gentlemen’s supportive gesture, family bonding, hospitality, sharing, generosity and social cohesion. Paan leaves represent greenery, nature and peace. Paan leaves and accessories are a significant trade item between India and Pakistan. We need to eliminate health damaging ingredients and effects of paans and educate masses on its healthy and hygienic usage. A paan eaters community can generate more social harmony not only within Pakistan but also across borders. Traditional ‘enemies’ can talk out their differences over a ‘gilory’ of paan. We must not reach a stage where we need to pick up our paan dans which symbolises closing down of talks. Let the paandans stay functional and all-embracing as ever. It’s a matter of perception. Paan is not to be merely chewed, it is to be felt. Published in Daily Times, July 1st 2018.